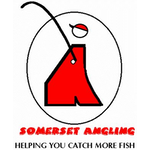 Over the years, I’ve had quite a few firms contact me to ask if I’d like to review their products on the blog, obviously they normally tend to be fishing related items like bait or tackle and I strive to give an honest and fair review. I do also review things that I’ve bought that I think people might find interesting like books or new bits of kit i.e. 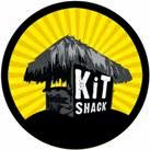 hooklength boxes. 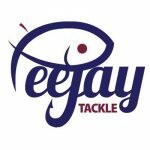 Occasionally I’m contacted and asked if I’d like to do a review on a product that isn’t necessarily fishing related but anglers might find useful (if that makes sense! ), things like water bottles or head torches, two of my favourites have been a photo canvas and a couple of Buffs, just brilliant products that I’d be more than happy to part with my cash for. Which leads nicely on to my latest product review, I was contacted by a PR firm asking if I’d like to test some Blueguard socks, now before you all switch off your computers, I realise a sock review isn’t the most exciting or glamorous review you’ll ever read but if you’re anything like me, you’ll hate thin socks as much as I do, so I thought ‘Why not?’ As always I endeavour to do a bit of research on the product before it arrives and was intrigued when the first things I noticed on the website were terms like ‘Lifetime Guarantee’ and ‘Socks Engineered for Life’. ‘Are you throwing money away on work socks that just aren’t up to the job? Some so-called ‘work socks’ are just standard sports socks in different packaging. 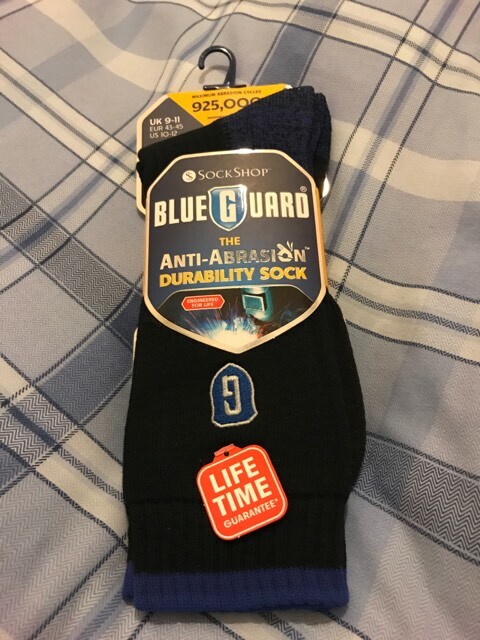 Blueguard anti-abrasion durability socks are completely different. They’re scientifically proven to last an incredible 46 times as long as standard sports socks. And they’re lifetime guaranteed not to get holes. So some pretty impressive claims but it also got me thinking that when they arrived they would be some big thick work socks more suitable to a building site than a river bank and that the only possible use I would have for them would be in the winter. A package duly arrived and on opening it, they weren’t the big thick, woolly, itchy foot mittens I’d envisaged but regular looking socks, albeit very smart ones. 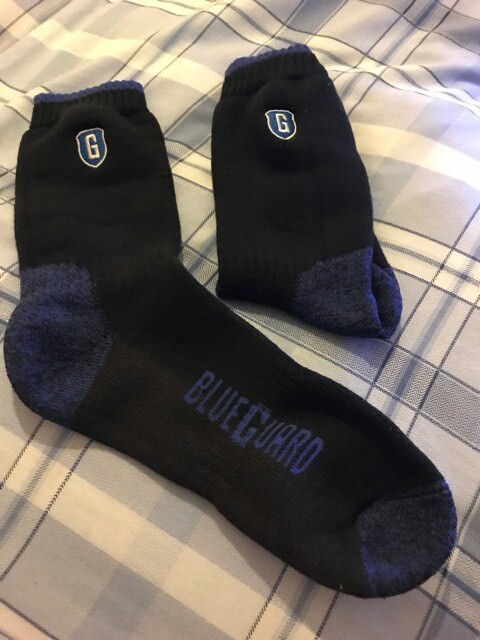 Black in colour with a blue heel and toe and the Blueguard logo. Now for the technical bit, basically abrasion resistance is conducted under independent laboratory conditions to British Standard BS EN 13770:3002. Maximum abrasion is tested until a fabric breakdown occurs (a hole). The higher the maximum abrasion, the more durable the textiles potential. 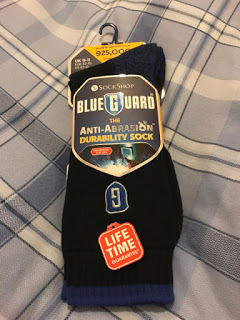 Blueguard socks have achieved an amazing 925,000 maximum abrasion cycles compared to 580,000 cycles for a branded tough sock and are an incredible 46 times more durable than a standard branded sports sock. I don’t really know about any of those claims but what I do know is that they are very comfy and they feel like quality socks that will last you a long time, a lifetime? Well only time will tell! So I will start wearing and washing them and I’ll update the review in a few months (which reminds me that it’s high time I updated some of the other reviews, so expect to see them over the coming weeks). They retail for £9.99 and are available in mens and ladies sizes and come in either black or navy. Blueguard also offer free delivery in the UK.